The U.S. Special Operations Command has awarded Harris Corporation (NYSE: HRS) a six-year, $255 million ceiling, single-award indefinite-delivery/indefinite-quantity contract H92222-17-D-0021 to supply powerful, next-generation, multi-channel manpack radios that will enable superior communications for U.S. Special Operations Forces (SOF) on the battlefield. The contract includes the Next-Generation Manpack (NGMP) radios and the new RF-410 NGPA power amplifier, vehicular systems, accessories and push-to-talk/headset audio sub-systems. 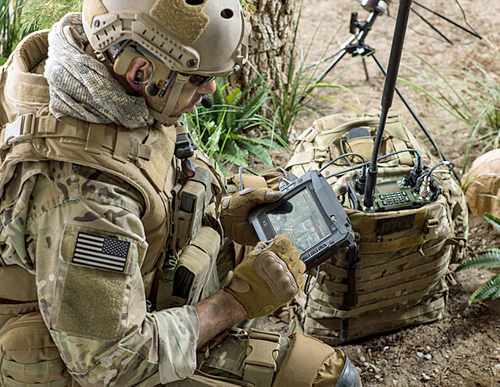 The contract is part of the comprehensive SOF Tactical Communications (STC) program and follows a previous IDIQ award to Harris for the two-channel next-generation handheld radio, with a ceiling value of $390 million. Harris’ NGMP offers similar fully integrated Intelligence, Surveillance and Reconnaissance (ISR), situational awareness and communications capabilities to the handheld, while meeting or exceeding the enhanced manpack requirements for increased performance, power, throughput and range. Engineered for SOF teams, the STC program radios can simultaneously communicate over multiple channels with an integrated Selective Availability Anti-Spoofing Module Global Positioning System receiver. The radios can communicate via satellite communications, VHF/UHF/L-band and multiple wideband networking waveforms, as well as receive and transmit ISR full-motion video and signals-based situational awareness.